In Indiana, they are active until October. If someone only needs to know WHEN the best time to find these snakes is, AND that population is so low that the removal of a few females will affect it's survival, that population is already doomed. Yup, I hate timbers. I hate them so much that I devoted 6 months of my life to literally following them around daily on a conservation project. Those educational programs I do? Just for shits and giggles. Let's kill all the timbers! In all seriousness, that information can easily be obtained from a simple google search or visit to a library. This is common knowledge available from a myriad of sources. There is no harm in divulging life history information. Poachers want specific localities, not general time periods. I love timbers, I hate to see them killed. However, I'm pragmatic, and viable populations are what count, not small isolated colonies of doomed individuals. Brian Hubbs wrote: If Timbers are so safe, why are they protected in most states they occur in (not the Canebrake morph)? If they are so safe then why the laws? Are the laws wrong? Some are, but I don't know about this one...educate me, but don't talk to me about Canebrakes. Are timbers OK to screw with? Mostly dynamite. They literally dynamited the dens. That and NY had a $5 bounty for each snake until the mid 70's. 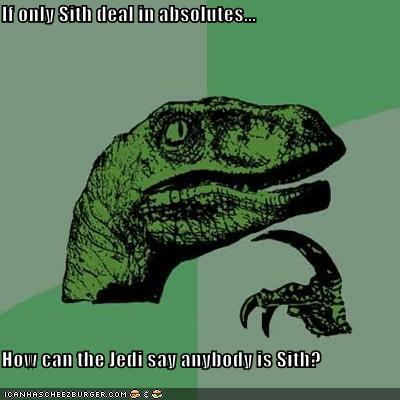 I don't deal in absolutes, I'm not a Sith. Also, Brian, please realize that I respect your opinion, I happen to think you are highly knowledgeable. However, I'm allowed to be opinionated, I'm still young. Are timbers in trouble? No. Are timbers in some areas (periphery) in trouble? Yes. Should we be working to protect the timbers in areas of their decline? This is philosophical, but I would say that yes, we should try to preserve these critters where they occur in different, particularly in differing political areas. While NH probably has less than 100 snakes, NY has about 100,000 (I can try to find that citation if anyone wants it). and then go to any bar in those counties, and ask the locales where the snakes are. They will tell you. Guess what? We still have timbers in almost everyone of those quads. Why? 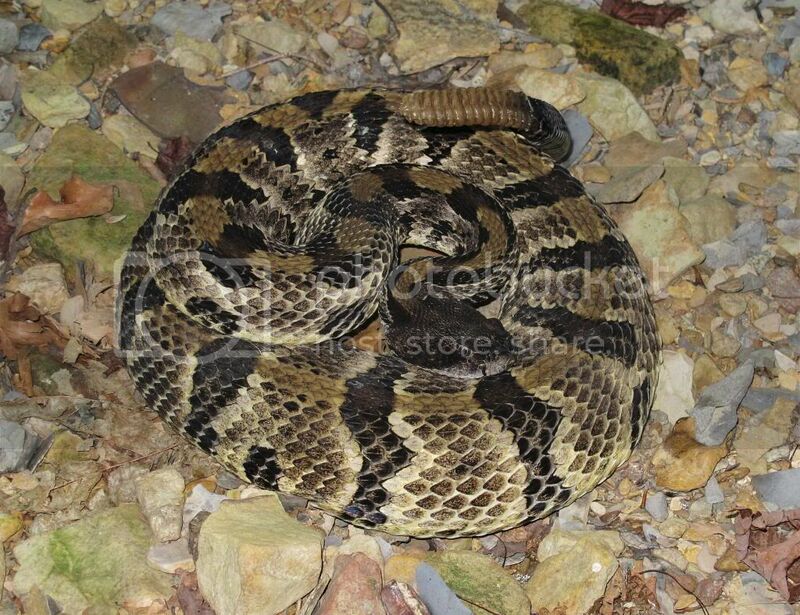 Who the hell wants to buy a timber rattlesnake, let alone MULTIPLE timber rattlesnakes? The demand is simply not there. IMO (show me evidence and I am more than happy to change my opinion). 3) I don't see any evidence in this thread that shows that "herpers" in general are ignorant to timing. We know timing is important for herps, we just don't see it as a factor driving their decline when it comes to this "collection" pressure that hypothetically exists. Do you guys know where that map came from? That map is the second link, and is linked to in the first link. I will bet a million dollars that a poacher (a poacher looking to harvest at a level detrimental to the population) will google before the snake and the state before searching this forum. No need, I removed it. I forgot that was against the terms. I certainly agree that a herp is different than a big game species. However, it is well documented and known that in the case of white-tailed deer and turkey, increased protection was necessary (along with re-introduction and education programs). Time for a new battle! Also, RidgeWalker, I agree with you. Anton, you are correct. That said, I think NY TR are a completely different situation than NY massasaugas. I had the good fortune of working on a NY massasauga conservation project, and I think you are spot on that those 33 poached animals could have a huge impact, considering there are literally only 2 localities where they still occur. I also agree that poaching can be a problem at the locality level, and can be a more serious problem in some areas (NH, ADKs) over others (SE NY, PA). It will never happen. I'd get mugged in a heart beat if I were in a rough area. Bingo Gerry, I should have been more clear. Thank you for posting that, really good info in there. Yes, poachers could do that back when 1) it was legal and 2) they had economic incentive. Why are people obsessed with "putting in the time?" I like to learn from other people's mistakes so I don't have to make them. This is how we progress as a society, and it's the backbone of science: incremental work building off of others. If we all just start from scratch every time, we won't have time to get anywhere! Now, that said, I certainly see the merit in learning from one's own failures, as well as the value of experiencing the world and making mistakes. I just don't like the attitude that one has to "earn" the right to see this magnificent creatures. We need MORE people interesting in herp conservation, and alienating them probably doesn't help. Look at the birders for a good example of a concerted effort to bring new birders into the world. I'm not an idealist, and while in an IDEAL world, only the most dedicated and devoted herpers would be brought into this community, in the real world, that isn't good enough. Gerry, I think we post too much. Shouldn't we be working? Indigo, we don't doubt people kill snakes. However, we disagree on the extent of the damage. Is it still horrible and annoying? Yes. Has it happened in the past? Absolutely, particularly in the NE. The large poaching incidents in NY happened in an area before enforcement of protection laws, and soon after (and during) a time when there was a BOUNTY on rattlesnakes. More recently, a person was found with massasaugas, timbers, spotteds, woods, and bogs (Operation Shellshock). These people were federally prosecuted, and now the risks of smuggling these spectacular and rare creatures are much higher. 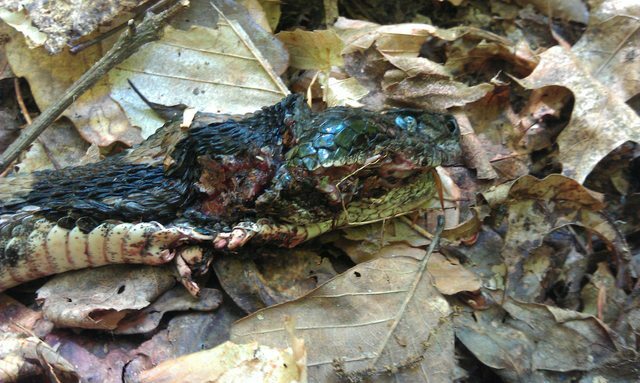 I'm sorry if I am misreading things [I did read the posted links, and have read Timber Rattlesnakes in NY and Vermont (http://www.amazon.com/Timber-Rattlesnak ... 1584656565)], but as far as I can tell, there has been little recent exploitation of NY dens. In the past? Yes, of course. Timbers used to occur over nearly the entire state, but as a result of years of people collecting bounties and literally blowing up dens with dynamite, the populations are much more isolated and restricted. Instead of just yelling "WRONG" can you please elaborate so that I can fully understand the situation? I'm really not trying to be antagonistic, I just have a different opinion that I feel is valid. I am open to being convinced otherwise, my opinions change all the time with new evidence. Yes, I read that. That happened a long time ago. Just as your view of "risk" is different than mine, your definition of "recent" is different than mine as well. I don't disagree that travesties have happened in the past, but I just don't feel that with the advent of modern herpetoculture and stringent laws in the NE, timbers are in danger of commercial level harvesting as a result of locality sharing. Also, I wasn't referring to the risk of being caught, but the overall risk of the illegal activity. While the chances of being caught may be the same (I would argue they are greater), the penalties now have a steep judicial precedence, and therefore the entire activity becomes more risky, due to the greater penalty. His poaching went on until 1997, but the majority of this work happened well before then. Also, remember that 1997 was 15 years ago. Shellshock may or may not have been significant. 33 massasaugas were recovered, but do we know how many timbers? Do we know those massasaugas came from the 2 NY populations? 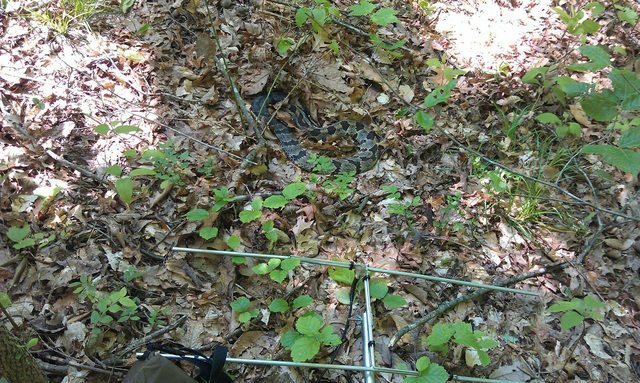 However, people are not scouring internet forums to gain obscure clues about timber rattlesnakes just to go shoot a few. That isn't realistic. It is much easier for those people to just ask around at a local tavern. It makes me sad that so many people feel the need to kill snakes for a perceived risk. That's why I work with NYS Parks and local organisations to host snake education programs where people get to touch live snakes and see what they are about. There is a lot of good to be done, but keeping this information secret isn't the answer (in my opinion, which I fully admit may be wrong). IndigoBlue wrote: How about a study then. Why not reveal every single location of every TR den in the NE and let's see what happens. And then we can discuss shall we. Of course we don't, but are these guys really coming to this forum? If they really want to find the snakes, they will find them much more easily than by coming here. The people who are doing that don't know what a "herp" is. IndigoBlue wrote: Oh but isn't that all imagination and just made up stuff Phil? I thought all people just love snakes, especially rattlesnakes. I posted a picture of a human killed TR. 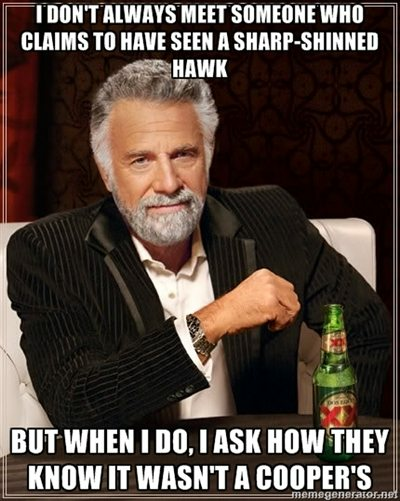 I know that this happens and most people dislike them. What I don't know is why some people are so against DISCUSSING things without resorting to personal attacks. I know and acknowledge that many of the people posting in this thread have more TR experiencethan I do, but I like to challenge opinions to see if they hold weight. Never be the smartest person in the room. DaveR wrote: Phil...those are some beautiful TRs. Amazing, spectacular creatures. I think we can all agree, and leave it at that!